We are proud to help you on your mission of spreading the Good News of Christ through a wide spectrum of products.We specialize in selling bold and uncompromising Christians/Faith related merchandise. 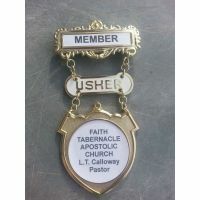 We are a Christian owned company, dedicated to bringing you captivating Christian themed items at low prices. 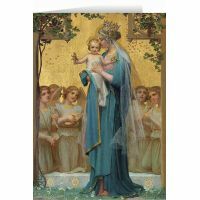 We are your #1 source for religious home décor, wall art, light-weight fiberglass statuary, apparel, church supplies and more! Believers in Christ will find Wall art featuring Divine Mercy, the very popular Gratitude and much more!. 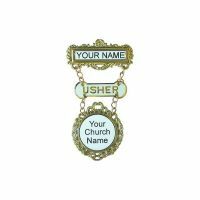 We carry many personalized church worker badges to help your patrons. Kingdom High has everything you need to help you spread the word of the Lord, whether in your home and even your car. With our unique Auto License Plates and Frames that you won't find anywhere else! We are proud to offer the finest religious fiberglass statuary available online, including, corpus's of Christ with rebar posts ranging from small to life-sized; cherubs and more! Be sure to follow us on Facebook and twitter where we offer super discounts and free merchandise.